This website is created and maintained by the GIS Laboratory of the University of Maine at Presque Isle. The GIS Laboratory, led by Dr. Chunzeng Wang, also performs annual update to the cemetery GIS database and this website (normally in June or July). The tours begin at 5:30 p.m. at the Civil War Monument in Fairmount Cemetery on US Route 1 just south of the city. Parking is available across the street at the Chamber of Commerce. Tickets $5.00 each. Reservations suggested. 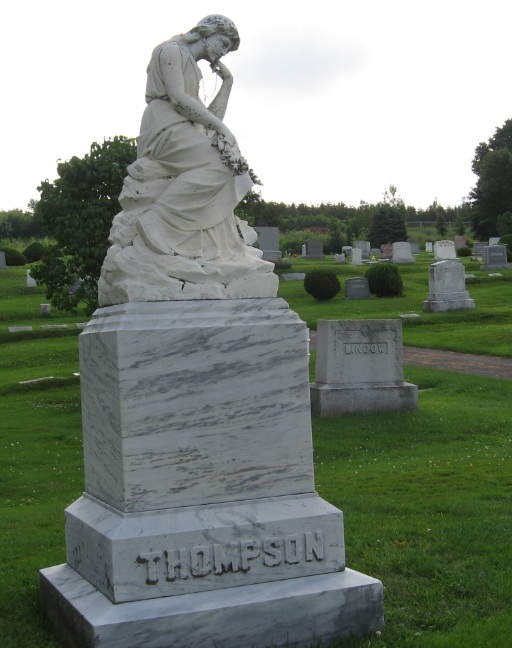 Hear the history of the cemetery, about its Victorian influences and the stories of some of Presque Isle's interesting historical figures interred within. Dates: May 13, June 10, July 8, August 12, and September 9. For updated tour information, please check the Presque Isle Historical Society website: http://www.pihistory.org/index.htm or email: pihistoricalsociety@hotmail.com. Copyright 2018-2019. GIS Laboratory of the University of Maine at Presque Isle, 181 Main St., Presque Isle, Maine 04769. All right reserved.